An essential part of doing facials at home, is including steam into your regular routine. Steam has many benefits when used with facials. For instance, it is an excellent way to open up the pores to release the build up of dirt and oil. Opening pores also aids the skin in absorption of any products that are used on it. Additionally, steaming softens the skin and helps make extractions of blackheads or pimples easier. Another benefit of steam, is that it improves circulation, which makes the skin look and feel healthier. When doing facials at home, you have the option to include any extra ingredients that you like, such as herbs or essential oils. It is more cost effective to give yourself a facial at home that to go to a salon or spa and you will also know exactly what is put on your skin. Facial steaming couldn’t be simpler. Just find a large pot and fill it with water. Place it on the stove and bring it to a boil. While the water is heating up, set up your area where you will be sitting. You will need a glass bowl, a large towel, a table to lean over and a chair. Be sure to protect the table surface from the heat of the bowl as well. Once water is boiling, turn off the heat, pour into the glass bowl and add your herbs or essential oils. After ten to fifteen minutes, lightly exfoliate with a scrub to remove any dead skin cells and impurities. 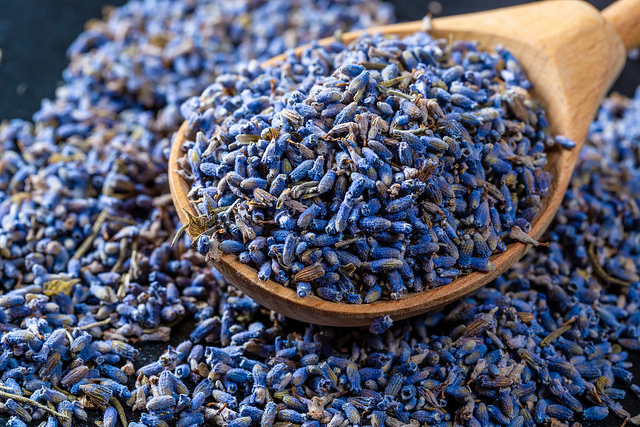 This article reveals that lavender and rose are two of the best herbs to use to hydrate dry skin. Inhaling the aroma of these herbs or oils will also relax you and help release the stress of the day. This article lists a number of various essential oils and herbs that work well for oily skin. For instance, peppermint is great for use as an anti-bacterial and anti-inflammatory, as well as eucalyptus, geranium and rosemary. One of the best essential oils for oily or acne prone skin is tea tree, which is also called melaleuca. It is a powerful antiseptic, anti-fungal, antibacterial, and anti-inflammatory ingredient for home facials. When you take into consideration the benefits of home facials along with adding customized steam, it is obvious that you should give it a try. The ingredients are not expensive and many of them can be used for more than just facials. To further enhance the health of your skin, incorporate a healthy diet into your lifestyle. This article states that you should also stay well hydrated and drink a minimum of 3.7 liters of water for men and 2.7 liters for women. Facial exercise is another way to maintain a youthful appearance. This method can be done quickly and easily to help eliminate sagging and wrinkled skin. For further reading, check out: Try These Three Home Remedies To Take The Years Off and 4 Herbs That Make The Best Facials.